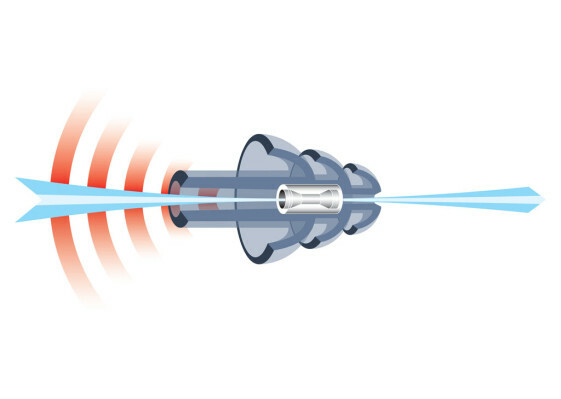 NoNoise hearing protection will filter out the high frequency wind noise while still allowing you to hear clearly. It is a fact that our hearing declines as we age and riding motorcycles without hearing protection can speed up the process of hearing loss significantly. Wind noise registers around 95dB at 60 mph (even with expensive helmets), which is enough to cause damage to your hearing after 15 minutes. Riding without hearing protection will eventually lead to premature hearing loss or other hearing related problems like hypersensitivity or ringing in your ears. Unfortunately, damage to your hearing is irreversible. Once it becomes noticeable, it is too late to fix it. No one wants to end up with a hearing aid in their golden years. If you want to prevent further damage to your hearing, you need to start wearing hearing protection now. The problem with ear plugs is that they just turn down the volume on all sounds coming in. It can be a safety concern if you are unable to hear things like an ambulance siren, or a honking truck or even a warning yell from a riding partner. In addition, ear plugs prevent you from hearing things through your helmet speakers like music, phone calls or GPS directions. Ear plugs may seem like they are more trouble than they are worth, but the need for good hearing protection cannot be ignored. The ideal situation would be to filter out just the high frequency sounds that cause damage to your ears while still being able to hear clearly. Filtering your ears makes a lot more sense than plugging them. Filter your ears from harmful sounds instead of plugging them. We recently became aware of a Dutch company that produces a product that can actually filter out just the harmful sounds from your ride while allowing you to hear clearly the sounds you want to come through. NoNoise Hearing Protection has been popular in Europe for some time now but the product has just become available in the U.S. recently through TwistedThrottle.com. NoNoise Motorsport Hearing Protection uses a patented venturi tube through the center that precisely filters out the damaging frequencies encountered by motorcyclists. And who wants to listen to wind noise while riding? With NoNoise, you can hear speech or music more clearly than ever without background noise. The aluminum storage capsule can be attached to a keychain or jacket. NoNoise Hearing Protectors use a slim design with three sealing segments to hold them in place comfortably inside your ear. These hearing protectors have a hole through the center so you will not have problems with equalizing the pressure in your ears during altitude changes. The product is also silicone-free and hypoallergenic to ensure you can wear them regularly without irritation. At nearly $30 the NoNoise Hearing Protection is not cheap. 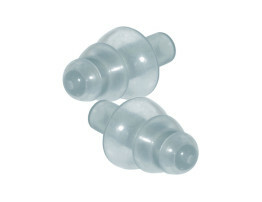 But when compared to crude ear plugs that block every sound, they are definitely worth the cost. You also get a compact aluminum case with a secure screw top that can easily be attached to a jacket or keychain for convenient storage. Trust me, I have tinnitus and hyper sensitivity. I have to wear ear plugs when I ride. I recommend that everyone does. The wind noise will damage your ears. Sounds like a great idea. Check the reviews, though; a lot of people are having trouble getting them out of their ears!